Racing at Meydan on Saturday was highlighted by a night of thrilling finishes, including in the evening’s two turf races. One over the sprint distance of 1400m and the other over the testing 2400m. In the former, Race 5 (Al Naboodah Construction Group Handicap), Rocket Power was able to record a fourth consecutive victory this season, having won his three previous outings at Jebel Ali. He was chased home by stable companion Azraff. Owned by Mohd Khalifa Al Basti, who also owns third-placed Billingsgate, he was ridden by Connor Beasley for conditioner Ahmad bin Harmash. Said trainer and jockey completed a double in the second turf fixture, the seventh and final race, when Mansoor Al Mansoori’s Muqaatil won by the slightest of noses over a super-game Doublet and Mickael Barzalona for trainer Sandeep Jadhav. The double put the cherry on top of a season that has been sprinkled with superb efforts from the yard. Al Basti was completing a double after, earlier, Tadhg O’Shea and Argentina-bred J B Space dominated the opening 1900m dirt maiden, the Al Naboodah Trade School by 10 lengths. 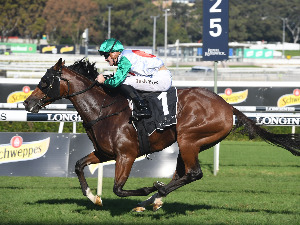 Saddled by Satish Seemar, the 4-year-old gelded son of J Be K was having his sixth career start, but first over a trip further than 1400m and the extra distance clearly suited him. The Al Naboodah Civil Engineering, the better of two 1600m dirt handicaps, was won in style by Moqarrar, a first Meydan winner of the campaign for Erwan Charpy. Ridden by Dane O’Neill, riding for his main employer, His Highness Sheikh Hamdan bin Rashid Al Maktoum, the well-made son of Exchange Rate out of a Distorted Humor mare ran to his dirt-friendly pedigree with aplomb, taking the lead early and winning well. It was his second start in the UAE after winning one of seven with Sir Michael Stoute in England. A 1200m dirt handicap, the Al Naboodah Building, provided the perfect opportunity for Nine Below Zero to make a winning dirt and local debut, as well as opening the seasonal account of trainer Fawzi Nass and owners Al-Afoo Racing Stable. Only six went to post with Adrie de Vries settling the 4-year-old Showcasing gelding in third, allowing Pirate’s Cove and Beachcomber Bay to set a generous gallop. 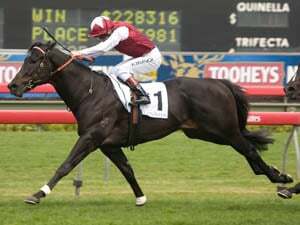 Sweeping past said rivals and going clear in the closing stages, the winner finished up much the best, winning for the fourth time. The 4-year-old bay gelding was previously trained in England by David Simcock. 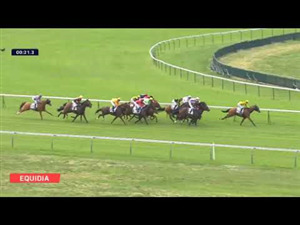 The longest dirt race on the card, a 2200m handicap, the Trans Gulf Electro-Mechanical, was a thriller with Big Brown Bear and Quartier Francais locked together throughout the final 300m and ultimately sprinting 16½ lengths clear of eventual third Cachao. Big Brown Bear lived up to his name, mauling his way back after being headed by Quartier Francais and ultimately getting his head in front at the wire. Pat Dobbs was in the saddle for Doug Watson, providing the team its first of two wins on the night. Team Watson-Dobbs’ other victory came in the night’s sixth race, the other 1600m handicap (Al Naboodah National Plant) where Dale Brennan’s Illusional ran down a reluctant Robin Weathers to win by a half-length. 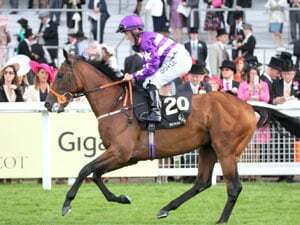 The full-brother to 2012 UAE 1000 Guineas winner Gamilati provided his owner with his first winner in the UAE.